Editor’s Note: There are two (2) images associated with this news release. After delivering a prolific speech at the Annual Network for Women Ministers & Leaders for the Environment Breakfast Meeting and partaking in a stimulating panel discussion at the High-Level Gender and Environment Forum, two events that were part of the second United Nations Environment Assembly (UNEA) of the United Nations Environment Programme (UNEP) conference in Nairobi, Kenya in May 2016, Almas Jiwani, President Emeritus of the UN Women Canada National Committee, and President and CEO of the Almas Jiwani Foundation (AJF), took the time to speak to the internationally-renown media company, Thomson Reuters. Among other topics, they discussed how AJF plays a critical part in empowering women to stimulate economic growth through sustainable energy solutions. 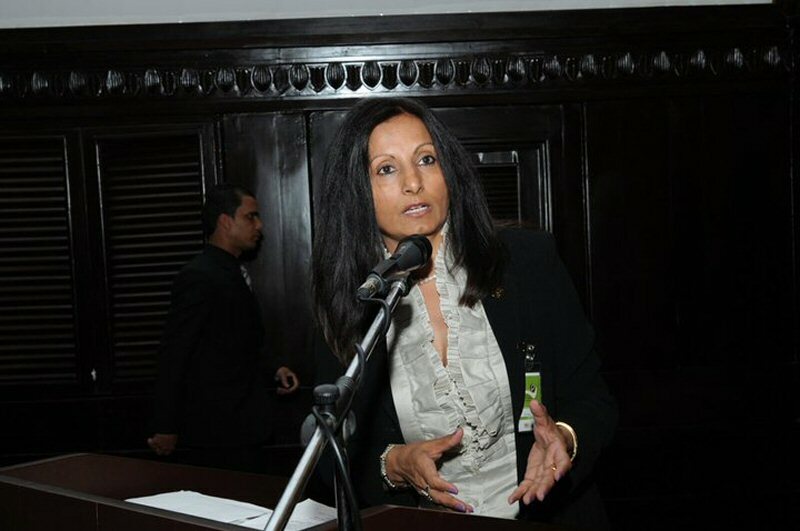 In her speech, Jiwani, who has garnered an impressive reputation as a powerful orator and vocal advocate, strongly emphasized economic empowerment – a term which has become synonymous with her name. Her strength and charisma are of no surprise considering how she relentlessly strives to redefine the female status quo. The May 2016 events accentuated how crucial it is to engage women in discussions and decisions surrounding sustainable development. Considering how women bear more of a burden than men in regards to energy-related poverty, allowing them to partake in capital decisions would aid in alleviating suffering and stimulating economic growth from which all can benefit. Thus, by targeting women’s needs and giving them the opportunity to voice their concerns and opinions, better-adapted sustainable energy options can be efficiently developed. In her interaction with Thomson Reuters, Jiwani recalled how violence against women, tremendous levels of poverty and gender disparities persist, despite numerous collective efforts. She voiced how such issues have propelled her to found the Almas Jiwani Foundation. To her, AJF acts as a catalyst for brainstorming and materializing creative solutions to rectify these issues. In fact, AJF is planning to implement a cost-efficient solar power initiative in disaster-stricken Haiti, as well as a women-run feminine hygiene product factory in Kenya in the near future. In her eyes, coupling entrepreneurship with modern technology to empower women in underprivileged areas is the key to achieving gender-disaggregated energetical sustainability. She firmly affirms that “instead of a mere dialogue, the improved access to energy and energy-efficient technologies will empower women and girls all over the world. The miracle of technology is knocking on our doors – loudly.” She also highlighted the relevance of AJF’s work in overall global sustainability. She acknowledged the Foundation’s influential role in enabling women and men to benefit from equal access to the necessary skills and resources to make well-informed decisions leading to more sustainable lifestyles for their communities. The Almas Jiwani Foundation is committed to empowering women and girls by designing and implementing innovative projects that directly address gender equality, education, entrepreneurship, employment and energy. AJF aims at bettering societal and economic conditions, specifically in developing countries. Some of AJF’s most notable ambitions include establishing sustainable energy models to provide higher quality education and enhanced living conditions, as well as creating an ideal environment where women can flourish as entrepreneurs and help raise their community out of poverty.